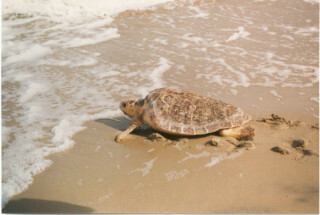 Lido Beach is becoming an important nesting area for endangered loggerhead sea turtles, Mote Marine has reported. The number of recorded nests on that island rose to 98 last year, compared to just 17 eight years ago, and more and more loggerhead turtles have been drawn to Lido over recent years, Mote Marine Senior Biologist Kristen Mazzarella told the Sarasota city commissioners during their meeting on Monday, Jan. 4. However, an initiative to protect the turtles by changing the hours Lido Beach Park is open has prompted residents to voice concerns about their access to the shoreline. The City Commission on Monday attempted to balance the needs of the nesting turtles with the rights of the public to use the beach by scaling back a recommendation on extending the period the beach is closed in the morning. The change will apply only to certain weekends during sea turtle nesting season, especially during the Sarasota Powerboat Grand Prix Festival and on July 4, when activities bring early crowds to the beach. Yet, one board member wanted to see a broadened effort to ensure that the turtles’ nesting is not disrupted. “We need to consider they are an endangered species,” said Commissioner Susan Chapman. The current ordinance closes city parks, including Lido Key beaches, from 11 p.m. to 5 a.m. But the new ordinance, as modified by the commissioners on Monday, would extend the closed time to sunrise each day during peak tourist times, such as July 4, and possibly other holiday periods, such as Memorial Day weekend. The draft ordinance could come back to the City Commission for review as early as February, at which point it would be set for a public hearing. At the heart of the issue, Mazzarella told the city commissioners this week, is the fact that some turtles are forced to nest elsewhere or dump their eggs because of human activity on the beach. 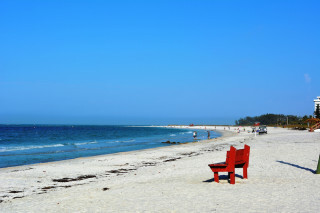 The turtles especially tend to stray from their nesting area in early July, Mote’s research shows, when crowds mass on Lido Beach before dawn to set up chairs and umbrellas, staking places in the sand to watch the Sarasota Powerboat Grand Prix, she pointed out. The boat races and July 4 events fall during the peak nesting time for the sea turtles, she explained. “There is so much beach covered by human activity that turtles can’t even get onto the beach to lay their nests,” Mazzarella said. “On the boat race day, we have had zero crawls; not one [from 2011 to 2014],”Mazzarella added. The situation improved slightly in 2015, as a result of increased vigilance by volunteers and biologists, she noted. 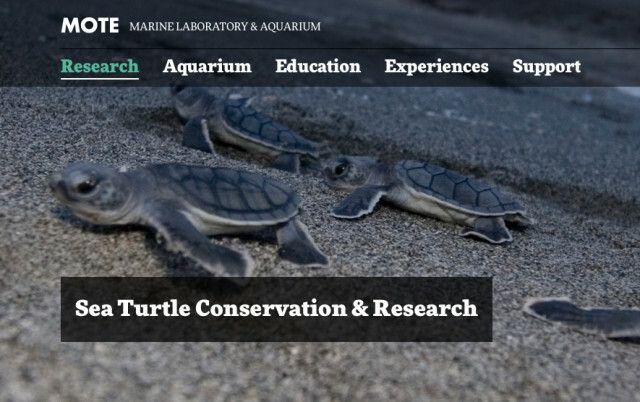 In planning for the July 4 events this year, city, county and Sarasota Audubon leaders, along with Mote Marine scientists, considered a strategy to make sure the nesting turtles do not face significant disruption again, said Joseph Polzak, an attorney who provides counsel to the city. That is important because the terms of state permits for Lido Beach renourishment efforts require the city to monitor sea turtles and ensure they are not bothered, he added. However, the resulting proposal to encourage the sea turtles to come onto the beach by reducing the hours the beach is open to the public during the duration of nesting season — from May to October — raised concern among some residents. Shoffstall also said he was curious about why the proposed change did not appear before the Parks, Recreation and Environmental Protection Board (PREP), on which he sits. Mary Ellen Kirkwood added, “Starting to walk the beach right before daylight is a wonderful time, and I would hate to lose that. Commissioner Liz Alpert asked Mazzarella whether keeping the beach off-limits to the public until sunrise would solve the problem. The biologist replied that that would help protect the nesting turtles, unless another event proved to pose a threat in the future, similar to that of the boat races.